Medicare, the federal health insurance program for older adults and disabled people of all ages, has the capacity to leverage major change in U.S. health care. Challenges facing Medicare, which covers more 50 than 50 million Americans, include rising health care costs, an aging population, and the need for more comprehensive benefits. 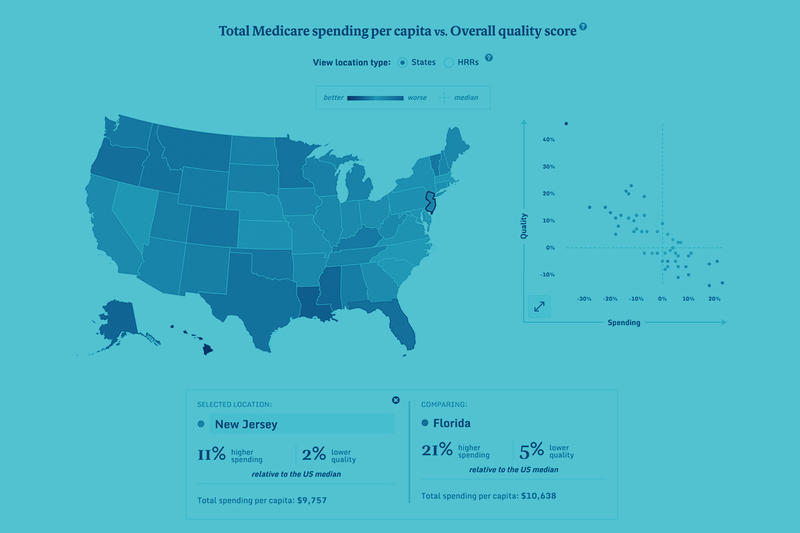 This tool helps reveal the "relative value" of care—the quality achieved per amount spent—for people 65 and older enrolled in traditional fee-for-service Medicare and allows for comparisons among states and local areas. Should Medicare’s Mandatory Bundled-Payment Program for U.S. Hospitals Be Scaled Up?